The fixtures of the Quarterfinals will be drawn on Monday 04 April 2011 at 18:30 hrs. The first knock-out stage of the 2010/11 VELUX EHF Men’s Champions League, the round of the Last 16, has come to an end. Only eight teams remain in the competition and will meet in the Quarterfinals. The four winners of this stage will directly qualify for the VELUX EHF FINAL4 in Cologne. 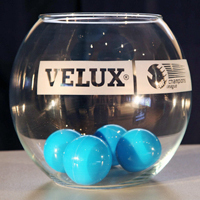 On Monday 04 April 2011 at 18:30 hrs the draw of the fixtures of the Quarterfinals of the VELUX EHF Men’s Champions League will take place in Sofitel Stephansdom, Vienna (AUT). The eight teams have been put into two pots, with all the winners of the Last 16 duels between teams finishing the Group Phase ranked first and ranked fourth in Pot 1, and all the winners of the Last 16 duels between teams finishing the Group Phase ranked second and ranked third in Pot 2. There is no protection for any teams, which allows fixtures between teams from the same Group Phase group or even between teams from the same country. First a team from Pot 2 is drawn. This team automatically has the home right in the first leg match. Then an opponent from Pot 1 is drawn. This team automatically has the home right in the second leg match. Following this procedure all four teams from Pot 2 are allocated to opponents from Pot 1. The first leg matches of the Quarterfinals will take place on 20 – 24 April 2011, the second leg matches are to be played on 27 April – 1 May 2011. The draw of the semi-final fixtures, to be played on the first day of the VELUX EHF FINAL 4 on 28 May 2011, will take place on Monday 02 May 2011 in Cologne. The draw will be broadcast live from 19:00 hrs (local time, GMT +1) on ehfTV.com, the official Internet TV platform of the European Handball Federation, offering free live streaming as well as a video on demand service. Also featured on the live stream, directly after the draw representatives of the eight clubs will be giving statements and first reactions to the fixtures and their opponents. Handball friends can also follow the draw live ticker, offering a real-time graphical presentation on eurohandball.com.